The Multiple Sclerosis Association recognizes March as it's awareness month. 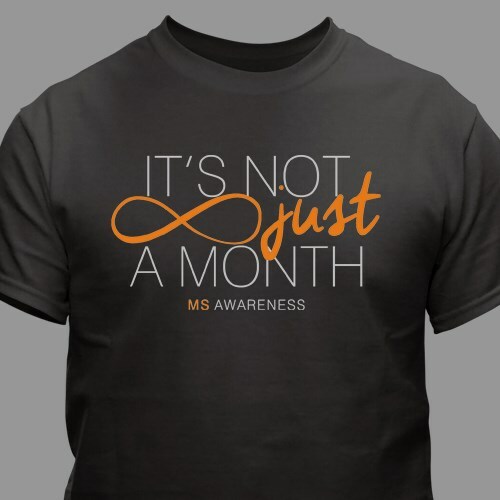 But, you can recognize it any day of the year with this MS Awareness T-shirt. Our multiple sclerosis shirts are available on 100% cotton, machine washable, black t-shirts. The awareness shirt comes in youth sizes XS-L & adult sizes S-3XL. This is my favorite! It definitely brings more needed attention to MS.